A resident from Cattle Landing Village in the southernmost district is tonight in serious condition at the Punta Gorda Hospital where he is receiving treatment for several stab wounds to the abdomen. According to reports, just before four on Saturday afternoon, Punta Gorda Police responded to a scene on Ogaldez Street where thirty-nine year old Wayne Adolphus had received two stab wounds to the lower and upper abdomen. 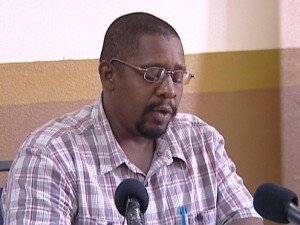 Today at a press conference, Police Press Officer, Inspector Fitzroy Yearwood, told News Five of the incident.